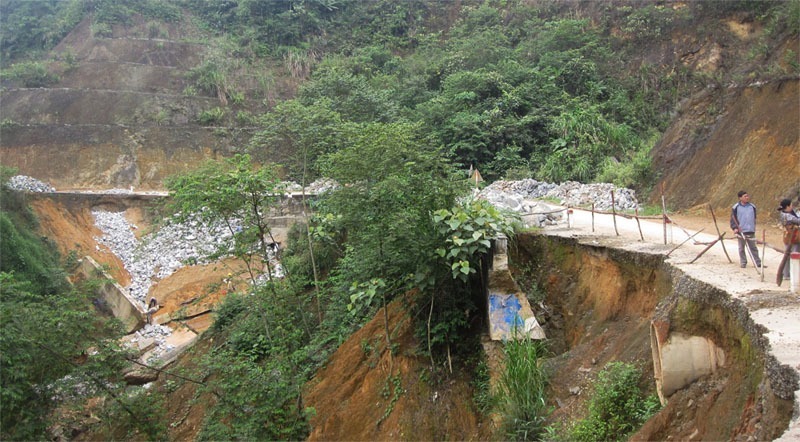 A recent ICEM study has shown that climate change influenced landslides and flooding poses a serious threat to major National transport arteries in Viet Nam, such as the north-south National Road 14 and Ha Noi to HCMC Railway Line. Viet Nam has invested heavily in transport infrastructure over the past decade. This has led to significant improvements to the road network in particular, with a five-fold increase in paved surface over the past seven years and a 30,000km increase in total length. However, the potential threat from climate change to the network was until now, not well understood. This study is part of a two year (2012 to 2014) Asian Development Bank (ADB) funded technical assistance project to support the Government’s National Target Programme to respond to climate change (NTP-RCC), with one of the main aims being to develop a better understanding of the potential impact from climate change to the transport sector. The work has included a rigorous consultative process with ministerial and provincial transport stakeholders, field visits to major assets, detailed modelling to determine current and 2050 climate conditions, and GIS spatial analysis. The study found that of the various climate threats that could impact transport assets, landslides have the most potential to cause catastrophic damage, followed by floods.